Since its beginning in March of 2014, Federal Tax Relief has achieved an impressive record of helping Americans across the nation get out of tax debt. Based in Woodale, Illinois, this company is quite proud of the 50+ employee team it has put together to best serve client needs. In a free consultation, a tax resolution officer will assess each financial situation to determine if the company’s team will be able to find resolution to the tax burden. A thorough investigation performed by an enrolled agent or tax accountant will determine the underlying cause of the issue and offer a resolution proposal within 24 to 48 hours of the consultation. Pricing is usually a concern, especially for those already under financial hardship, but this team offers some of the lowest rates we’ve seen in the industry ringing in at 10 percent of the total owed or being resolved. The company claims to have no hidden charges and potential clients will not be obligated to hand over any cash unless they feel confidence in the team’s ability to resolve the issue. Federal Tax Relief can also lighten the load by offering back tax solutions, determining what amount is currently not collectible, and giving professional IRS tax audit support. 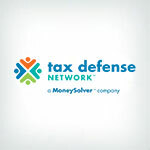 Regardless of the tax troubles clients are faced with or the dollar amount owed, FTR claims to always be there throughout the entire resolution process. No tax resolution company can be perfect all the time, and Federal Tax Relief has a few cons worth mentioning. The company has several package options to best suit clients needs, although it claims to primarily help with small tax issues. With that being said, “small tax issues” have a better potential of being solved by contacting the IRS directly. Typically, for smaller issues, the IRS works with taxpayers to come up with a plan to resolve debt for free. Packages may contain more or fewer services than are ultimately applicable to each situation, but they aim to be comprehensive. When a consumer is in doubt about which offer to select, customer service representatives may suggest selecting a larger package than is actually needed just to cover all the bases. This isn’t necessarily bad advice, but it’s something to keep in mind. Federal Tax Relief has not disclosed its service area on its corporate website. It is unclear whether or not the company is available in all 50 states. 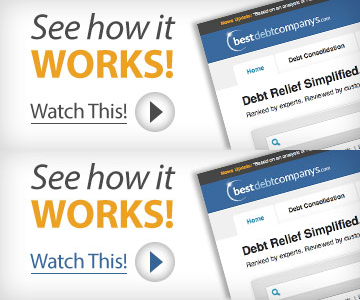 Most company websites have a blog section that provides free information pertaining to tax debt resolution. However, Federal Tax Relief does not. We’d like to see more calculators to help customers, in addition to articles explaining the process of tax resolution, what to expect during the investigation, or even some quick tips to make sure you’re having enough funds withheld from each paycheck. Free resources can go a long way to building trust and rapport with a client. Federal Tax Relief would most likely be considered mid-grade on the tax resolution company chart. While the company offers affordable options to handle a wide array of tax related concerns, we still have our concerns. For example, Federal Tax Relief has not disclosed its service area and does not provide free resources for customers. Prospective clients are advised to check out our other top tax relief companies.